Three years ago, after a visit from his longtime collaborator and friend, lyricist and poet Charles Anthony (Tony) Silvestri, composer Eric Whitacre found a poem Silvestri had left for him sitting on his piano. Silvestri had lost his wife to cancer 12 years previously, losing his soul mate and leaving him to bring up their two young children. He had not been able to write about the experience for a long time. The poem he left for Whitacre was called The Other Side of Eternity and Whitacre immediately sat down and began to set it to music. The resulting piece is part of a broader work based on Silvestri’s poetry addressing all stages of life and death called The Sacred Veil that will receive its world premiere by the Los Angeles Master Chorale conducted by Whitacre in Walt Disney Concert Hall Saturday, February 16 at 2 PM and Sunday, February 17 at 7 PM. 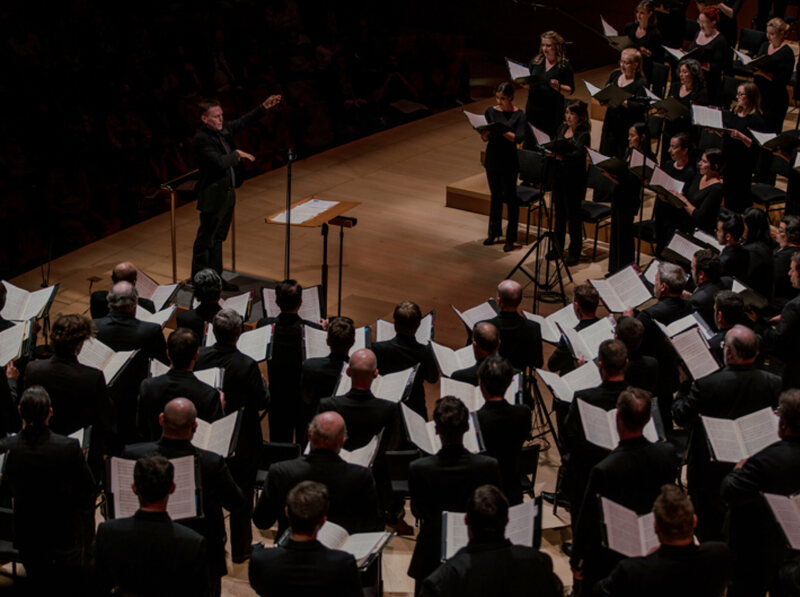 The longform work is a key project of Whitacre’s position as the Master Chorale’s Swan Family Artist-in-Residence and will be performed by 40 Master Chorale singers, soloist Suzanne Waters, and a chamber ensemble from the Los Angeles Master Chorale Orchestra. 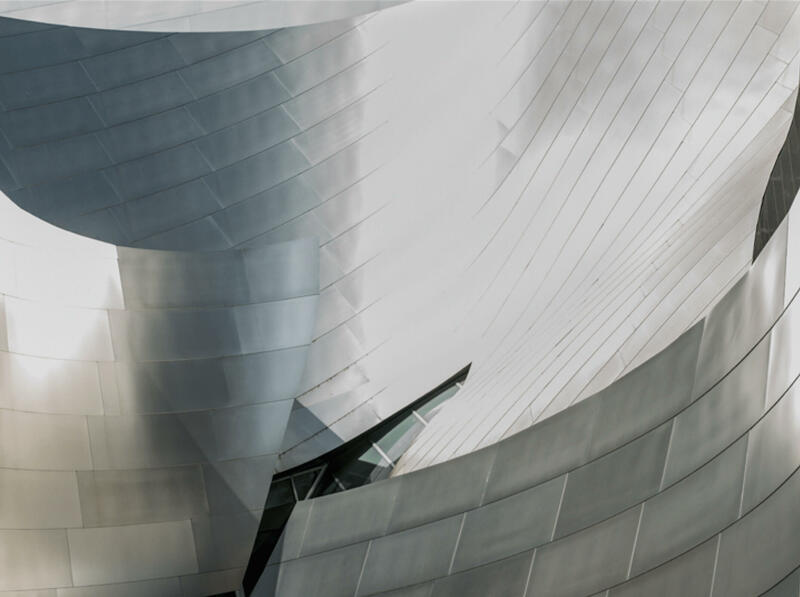 A co-commission between the Master Chorale and the Monash Performing Arts Center in Australia, The Sacred Veil is Whitacre’s most extensive choral work to date and a highly anticipated musical event. Both Whitacre and Silvestri will give a pre-concert talk one hour before the performances and will also introduce the work from the stage at the performances. Previous collaborations between Whitacre and Silvestri include Sleep and Lux Aurumque, two of the most frequently performed works of choral music in the world. 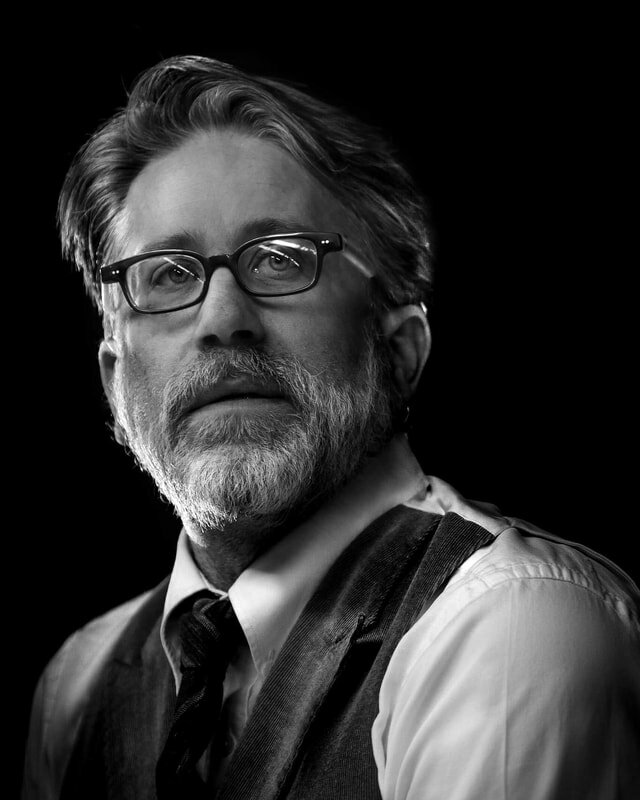 Recognized worldwide as a galvanizing force in choral music, Los Angeles-based Whitacre’s residency with the Master Chorale has seen him conduct several performances of his works, including the U.S. premiere of “I Fall,” a section from The Sacred Veil, in June 2017 called “dramatic” by the Los Angeles Times and described by Out West Arts as “A moment where gratitude and loss and failure all meld into one dizzying mix.” Whitacre has also conducted sold-out Festival of Carols concerts with the Master Chorale in 2017 and was the host and driving force behind Big Sing California in June 2018, the largest group choral singing event in California history that was livestreamed worldwide. 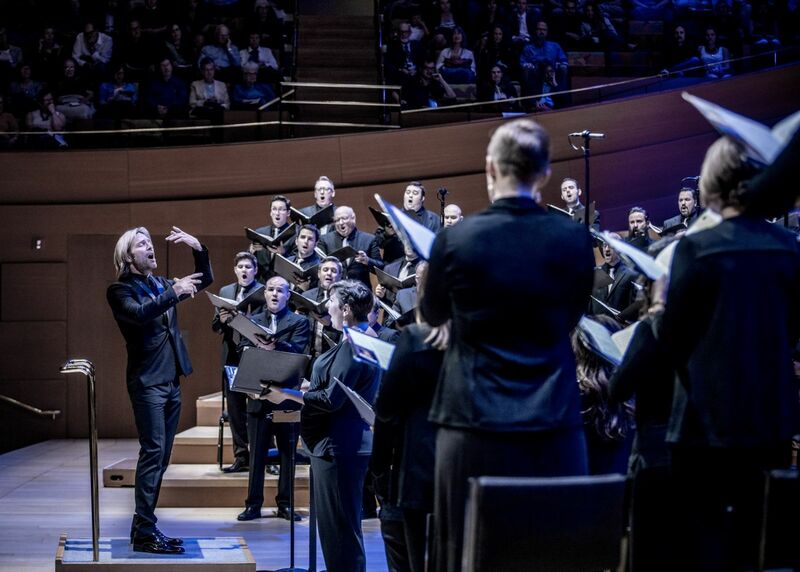 Whitacre will be the special guest conductor at the Los Angeles Master Chorale’s 30th Annual High School Choir Festival in Walt Disney Concert Hall on May 3. His advocacy for music education will also be demonstrated at the Grand Rally for Music Education at the 2019 NAMM Show in Anaheim on Saturday, January 26 where he will appear as the headline speaker. In November Whitacre launched the fifth iteration of his enormously successful Virtual Choir projects, Deep Field: The Impossible Magnitude of Our Universe inspired by images from NASA’s Hubble Telescope and bringing together 8,000 singers from 120 countries aged from 4 to 87.